It’s fall, so you gotta have soup. Nothing warms me up like a big, hearty bowl. I prefer the broth-based soups because they’re healthier, lighter…so thus, you can eat more of it! 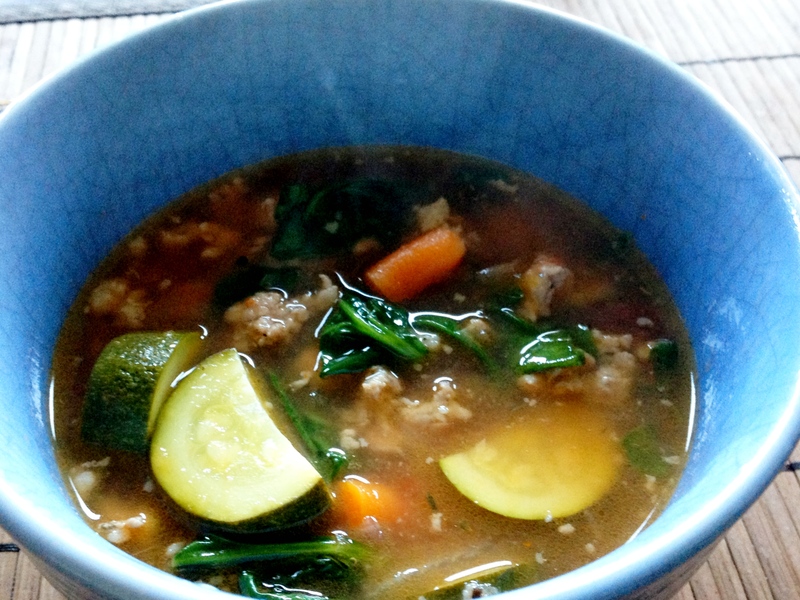 One of my go-to recipes is this Italian Sausage Soup that I found while browsing AllRecipes. It’s 5 star rated with over 1400 reviews, so you know it’s good! I like to substitute the Italian Sausage for a mixture of Lamb Merguez and pork sausage. Yummy! Oh, and I omit the beans because I’m not a fan. Try it and let me know what you think. We like to make a pot of it and then eat it for 3 days straight.